The entire production unit is connected to the main server, thus avoiding human errors related to cutting, gluing, machining limits. TERMOPLAST is one of the few manufacturers in this sector where human resource is mainly used for details and installation of accessories. 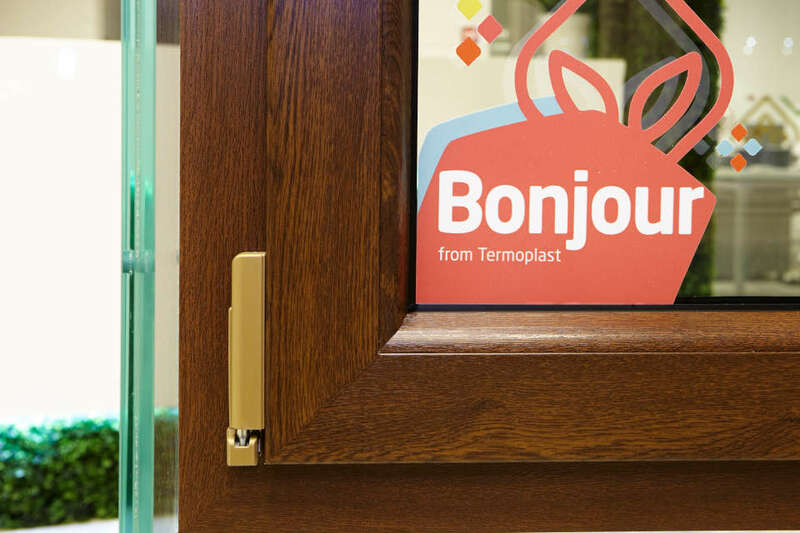 TERMOPLAST is the only producer of PVC glazing with REHAU profiles in Romania and one of the few in Europe that uses the latest technology for welding PVC profiles. The new technology for more beautiful and stronger windows! Traditional technology inevitably generates a seam weld that even after being cleaned and retouched, affects the aesthetics of the window. The excess material left behind is visible to the naked eye from an average distance. It is the first and only technology in the world through which the excess material does not combine at the outer part of the profile, but is directed by milling inside the profile. This excludes the deburring process (cleaning the surplus after welding). There are many advantages of the new technology – more beautiful windows, high resistance due to larger contact surface, extra protection against wind and noise (the excess of material combines inside of the profile, not outside, thus the corner seals preserve their shape and elasticity).